New Joint Replacement Therapy at Putnam Ridge! Joint Replacement Therapy at Putnam Ridge! When it comes to bone and joint health, some individuals are faced with many life changing decisions. Putnam Ridge, a skilled nursing center in Brewster, welcomed Dr. Sanjay K. Gupta, Orthopaedic Specialists of CT, in March to discuss best practices and state-of-the-art procedures for joint replacement and lower extremity orthopedic care. He educated the participants on how he assesses orthopedic challenges in older adults in order to obtain the best outcomes for each individual. The prevalence of orthopedic injuries and overuse disorders is on the rise, particularly as the population ages. Areas he covered were minimally invasive joint surgery, ankle fractures, joint replacement options, pain management, and post-surgical rehabilitation, including occupational and physical therapy. Success rates are exceptionally high when it comes to partial or full joint replacements, where patients are able to walk within hours of their surgery and most can return to normal functioning within a matter of months after rehabilitation. Dr. Gupta educated patients about what to expect before, during, and after joint surgery and encouraged patients and families to be involved in the care planning process. Goals for physical and occupational therapy in a sub-acute setting, like Putnam Ridge, include the spectrum of care, phases of rehab, types of therapies used, discharge planning, and home or out-patient therapy. If you are thinking about joint replacement options, Dr. Gupta can be contacted in his office in Brookfield, CT at 203-775-6205, or call Putnam Ridge’s Rehabilitation department at 845-278-3636. 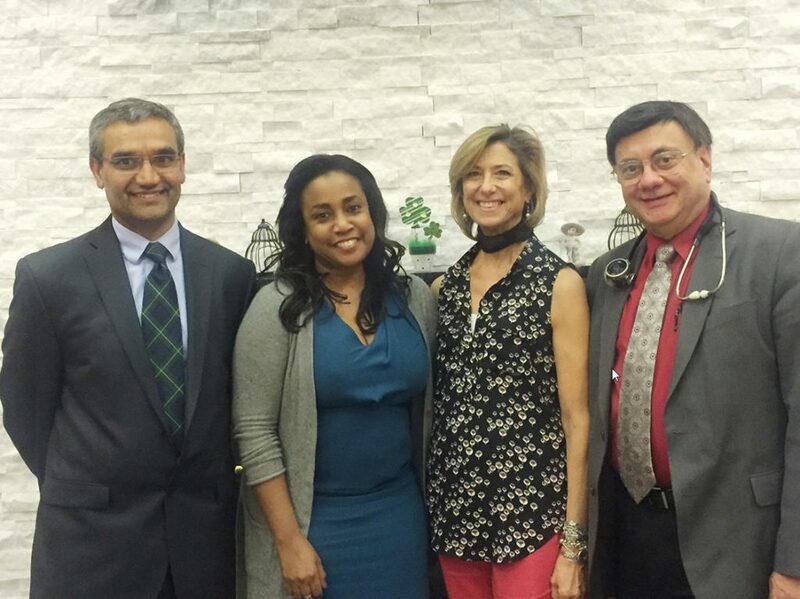 Pictured here is Dr. Gupta with Rosie Pottinger, Administrator at Putnam Ridge, Vivian Frerking, Director of Rehabilitation at Putnam Ridge and Dr. Ernest Terranova, Medical Director at Putnam Ridge.